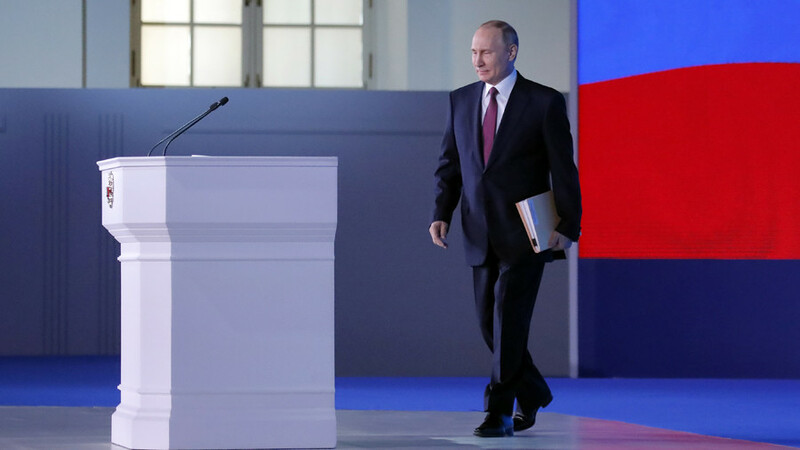 President Vladimir Putin has delivered an address to the Russian Federal Assembly – a joint session of the two chambers of the Russian Parliament. He spoke on a wide range of issues from the economy to the newest weapons. Times now favor those who are prepared to change, Putin said. Putin said Russia’s record of cooperation with countries like China and India shows its willingness to have constructive and beneficial relations, and that were the US and Europe to seek equal partnership with Russia, Moscow would be responsive. He suggested that the US should rethink its stance, retire warmongers and stop endangering the entire planet for the sake of its ambition. He said Russia is prepared to use its weapons – including nuclear ones – if attacked, and that nobody should think otherwise. 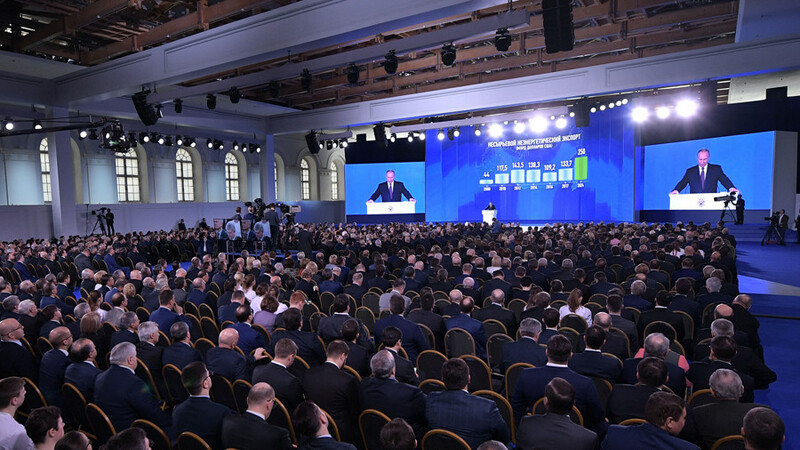 He concluded that Russia’s greatly boosted strategic deterrence means that all US effort to gain military supremacy had been a waste of money and effort. “Everything you wanted to stop through your policies has already happened. You failed to keep Russia down,” he said. The president said all the new weapons would be nothing if Russia didn’t have some of the world’s best soldiers and officers, prepared to make the ultimate sacrifice to protect their country. He mentioned Major Roman Filipov as an example. Putin promised the technical achievements implicit in developing the new weapons would eventually find their way into civilian life. He said the fact that Russia managed to create them underscores Russia’s great mastery of science and engineering. This is not everything Russia has to defend itself, but this is enough for now, Putin concluded. All these weapon systems are new, not some old Soviet projects Russia managed to complete. Thousands of people worked hard to bring these weapons into existence. Russia also has working laser weapon systems, Putin said, adding that it is too early to go into details on this particular issue. The weapon is yet to be named, he said.